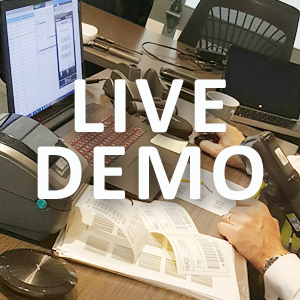 Interested in a Datalinx webex demonstration? Demonstrations are hosted on request, at a date convenient to yourselves and are Sage system specific. Our aim is to provide you with an overview of Warehouse Manager, it's integration into your Sage system and an understanding of how it can enhance your business process and increase efficiency. The extensive and hightly flexible functionality of Warehouse Manager streamlines and manages warehouse tasks and stock control process through barcode traceability.